Chad Stallings has been helping people with one of the most important decisions in their life since 1997. Working in the mortgage business for his entire professional career, he enjoys this responsibility and his enthusiasm and hard work will benefit you by helping reduce the anxiety and stress that is often associated with the purchase of real estate. 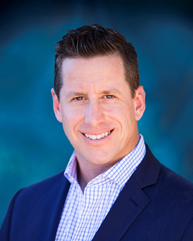 Chad has always worked on a past client and referral basis helping him focus on you and provide the service that is increasingly lost in the lending world today. Chad truly believes in the statement that “customer satisfaction is good, but customer loyalty is better”. Chad is originally from St. Louis Mo., married and the proud dad of two boys. Our goal is to provide the highest level of service at competitive rates. I am only a phone call away if you need help. Contact me at 602.292.0415. Looking for a no down payment VA loan or a low down payment FHA loan? You have come to the right place!